Like everyone else here, I found Indy was very patient and helpful despite me providing confusing instructions and helped me to understand what size would actually be best for me. 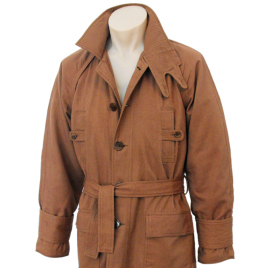 The coat itself is excellent, really well made and pleasingly screen accurate, there is a good weight to the material, the lining is a nice touch, and the colour is much closer to the film than other versions of the coat I have seen. I will definitely be wearing this on a daily basis and I would encourage all Blade Runner fans to consider getting hold of one of these coats.